Therapy - Psychotherapy provides a safe and confidential space. Psychotherapy provides a safe and confidential space allowing you to process your thoughts and feelings about areas in your life which may be causing you difficulties. Beginning on a journey of therapy can uncover how your past and present ways of being the world impacts on your quality of life in the here and now. Perhaps there are unresolved issues from your past, perhaps difficult relationships in the present. Working together, you will gain a shared understanding of your life experiences and how you may work towards change both internally and externally. Therapy will develop self-awareness and in turn, process and release your difficulties in a paced and supported way. Deciding how long you need or want to be in therapy will be a shared decision, based on the assessment. A therapy contract will be discussed and co-created and this will be reassessed and reviewed based on the goals that you have for yourself. Like any journey, it is not always smooth sailing as you might begin to talk about things which may have been left unprocessed up until now. This will no doubt cause concern and sometimes may feel very hard, but Simi is trained to work with issues and problems in a safe and contained way to ensure that clients are kept safe and the work is productive. The arts, imagination, metaphors and dreams are valuable in the therapeutic process and can provide deeper insight into our inner worlds. This is especially true when it can be hard to find words to express our thoughts and feelings and issues which may feel difficult to talk about. 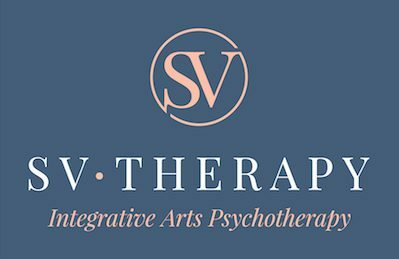 Simi is trained to work with seven art forms as ways of therapeutic communication and to ensure that working in this way is a safe way to explore what you may want to bring to therapy. These art forms range from: Art, Drama/Puppetry, Sculpture/Clay, Poetry, Sandplay, Music and Bodywork/Movement. If working in this way appeals to you, the art forms are available for the purpose of exploration and expression. Do I need to be ‘good at art’? No. This is process-led, so no artistic skills are required. Working with the arts will mean using the mediums in an exploratory way to support the therapeutic process when it may be hard to put into words the thoughts and feelings that can come up during the course of therapy. What if I don’t want to use arts? It is not required to work with the arts and as such, there is no right or wrong. You may want to experiment with whatever feels comfortable for you to try it out. Will you be analysing my art or what I create? No. Simi will be thinking with you about the process of using the arts and what this may bring up for you. What happens to the images that I create? Simi will be able to store the images in a locked space confidentially for you. When you come to the end of the therapy, it will be your decision to take or leave the artwork that you have made. Any art work left with Simi after the ending of therapy will be destroyed. Can I keep the images that I make? Yes. Anything made is yours to keep if you so wish. You are more than welcome to discuss any questions you have in the assessment and at any stage during the therapy.